Resignation does not really exist in the Cambodian culture even if something bad happens as the result of carelessness, it will be attributed to an accident or natural disaster. Notably, the example of the plane crash, caused by the pilot’s error, was declared on the news an outcome of natural disaster as well. We can remember during the previous King, H.M. Norodom Sihanouk’s re-coronation and birthday in 1992, there was a celebration and a ceremony of Bun Taing Tok at the Royal Palace, which was opened to the public, and unfortunately, twenty people died in the crowd near the north gate. In 2007, during the Water Festival international boats join in competition, one of the boat sank near the Phnom Penh autonomous port, killing five Singaporean men, as both the police and the marine could not reach them on time. One year later, a female boat-dancer drowned and died after a boat was sunk by the strong flow of water. 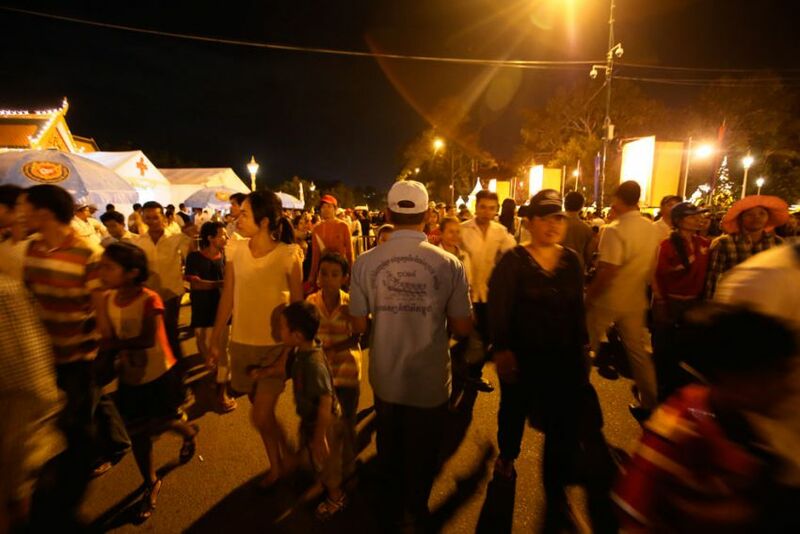 Another tragedy during the Water Festival is the stampede on Pich bridge, Koh Pich Island of Phnom Penh, which occurred in 2010 when 353 people were killed and another 755 injured in a human stampede. Last week, another young man was killed in the firework accident on the tenth anniversary of King Norodom Sihamoni’s coronation. Regarding this tragedy, no authority official accepted the responsibility. Instead of admitting their carelessness, they just got away with it by putting their finger on the “accident”. “The people’s lives in Cambodia seemed to be the things of no value and meaning. If someone dies in such a way, the news of his or her death will be broadcasted on T.V. so that some generous people could contribute some money to his or her family. Even Prime Minister Hun Sen has been doing the same thing, without finding the long-term solution. Should we allow such careless management to repeat? Is there any measure to deal with it? Could the resignation or dismissal be used as the penalty for the not-on-time intervention or careless management? • The rescue forces should not only mobilize on land and water but also in the air. The parachute rescue force and helicopter will be needed to observe and monitor the situations on land and water, which allows for quick information transmission and intervention. • Inside of each racing boat must have lifejackets for all athletics. • The paths to the entrance and exit/ on the way have to be separated in order to prevent stampede. We cannot risk the repeat of the Koh Pich Stampede. • The undercover security forces have to be expanded to work against the gangs, who cause the chaos, the molesters, and thieves. • The number of ambulances on the roads needs to be accumulated. According to the Ambulance control office, there are more than ten ambulances in Phnom Penh. So, how do we increase the number of ambulances? The Ministry of Health has banned the private clinics’ ambulance, claiming that their ambulance workers have no required skill. There have been debates over the controversial issue in which the ambulances of Sen Sok Hospital did participate in the emergency medical forces during the Koh Pich Stampede accident. • There have to be strict regulation for land and ferry vehicles regarding their weight load, especially ferries and boats. The vehicle must not be overloaded because during these holidays, many residents of Phnom Penh will be going to the provinces while those of the provinces will be coming to Phnom Penh to enjoy the Water Festival. • Road traffic accidents happen every day. During the Water Festival, greater caution needs to be exercised with this issue. The government has to increase the number of the traffic police on the road and temporarily banned big trucks from entering the city. Usually, the drivers of those trucks give some money to the police so that they can drive into the city. Almost every year, all the road traffic police officers gather at nowhere but the Royal Palace and the celebrating forum, as they already get money from the luxury car drivers [high ranking officials] than care about the trucks to allow them to go into the city.